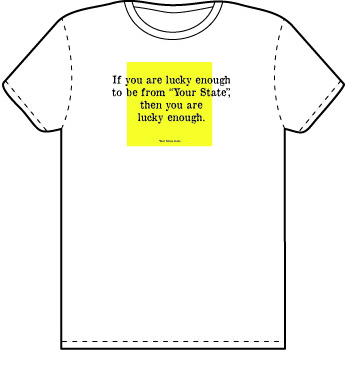 Individual state shirts are represented each month. If your state is not listed, please email us and we will put it at the top of the list. Email Elpis Enterprises.